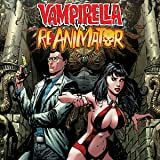 Herbert West--the Reanimator--has awakened the Goddess of Death, and Vampirella is none-too-pleased about it. 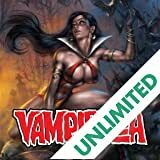 As West tries to unlock the ultimate secrets of life and death, Vampirella hopes to shut him down once and for all. 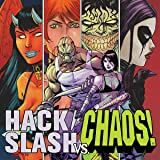 But the Goddess of Death and Vampirella have history, and the grudge match that erupts may be more than Vampi can handle... on her own. The encounter that was destined to happen! 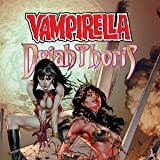 When an alien scout ship crashes on Mars, Dejah Thoris must risk reigniting war with the Green Martians and becoming dinner for the white apes. 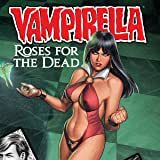 But the stakes are raised so much higher when the ship is revealed to carry Vampirella, who is on a desperate mission of survival—one that might end before it truly begins!